A guy from a small village located near Novosibirsk, Russia has a hobby. 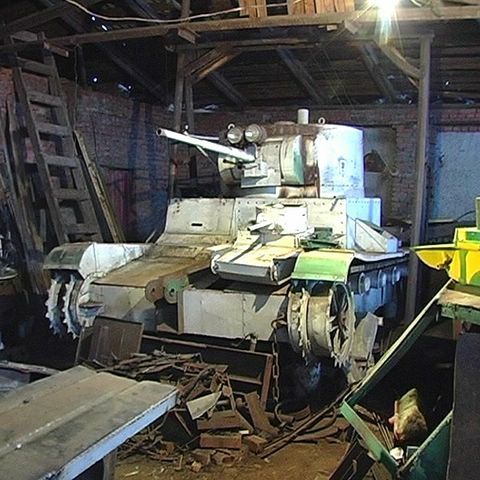 His hobby is to make full size models of old tanks. He makes only those models that were totally destroyed during the wars and no any other copy can be found in the whole word. So he takes the pictures and the old tank comes to life again. All of his models are full-sized and can move. They have engines, transmissions etc from modern cars and can be driven, though they are not registered. Once he got a little tour across the neighborhood on his new example of a World War II tank. 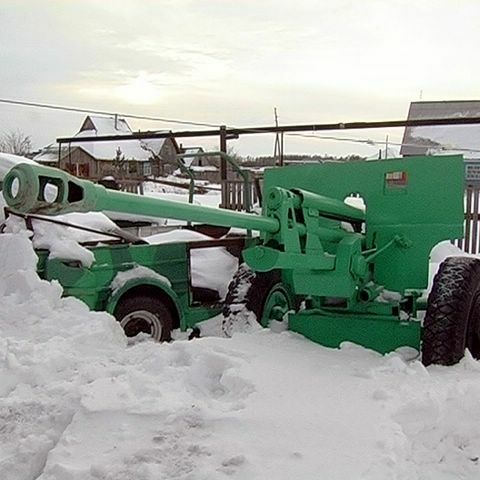 That made a lot of panics in the quite Siberian area – police arrived to see why the tanks entered the village. He says his dream is to built a full sized working model of an aircraft-carrier. Interesting to see the color of paint used, especially on the last two pictures. We are so used to seeing those things in black and white photographs. 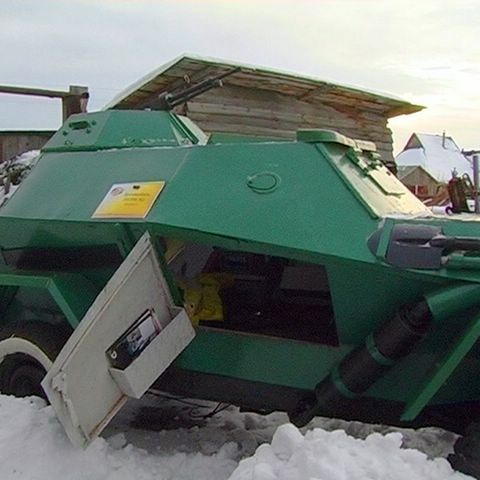 The first one looks a bit like the US M2 “Grant” tank. The model in the foreground of the second picture looks like the German M2 Panzer. I could take the one out on top with a slingshot. 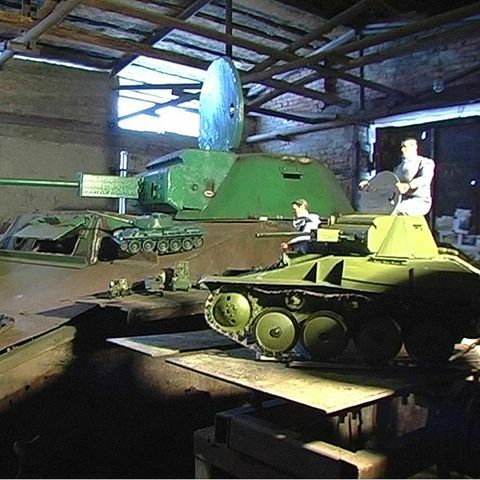 The picture on the top is a 1930’s era Soviet T-26, a type which saw action early in the war. The color of the gun (model) is not exactly right.